When I first started homeschooling I was afraid of a few things. My kids would get on my nerves. My kids wouldn’t get enough socialization. My educational weaknesses would be my kids’ educational weaknesses. Now in my 20+ years of homeschooling, I can say that all of those have come TRUE. 1. My kids did get on my nerves. Yet looking back now those memories pale to the ones where we had fun and enjoyed learning together. Now that three of my kids are older we talk about our field trips, the books we read, and the projects we worked on. We have months and years of material to draw from. We are close because of the time we spent together–good times, bad times, fun times. My kids didn’t get enough socialization with kids their own age during some seasons of their lives. For a few years when, we only had one car, they only had the chance to play with neighborhood kids or kids at church. There were times when my preteen daughter sat alone at middle school youth group because she didn’t feel included. There were days my sons begged me not to make them play community sports because they didn’t know any of the other kids. Yet things didn’t stay that way. We got involved in homeschool co-ops. They played sports for years (and liked it!). In high school our home became “the place” where the homeschool basketball teams hung out and youth group parties were held. My kids have developed deep friendships with others from homeschool sports and church that they can count on. My daughter, who is in college, helped to start not one but two on-campus Bible Studies. They did have awkward moments growing up, but don’t most kids? Another thing I didn’t expect is how much they’d grow in their friendships with each other. 3. My educational weaknesses were my kids’ educational weaknesses. I admit it, I’m the worst math and science teacher on the planet. When my kids did standardized testing they were far above grade average in everything… except those two subjects. My kids are not math wizards. They have done “just enough” math in college to get by. So I talked to someone about tutoring my high school senior in math. This mom would rather study ancient history or discuss the themes of great novels. I’d rather take a trip to explore historical sites than work on geometry problems. The good news is my strengths have become their strengths–to the extreme. My kids have excelled in college. My daughter was called out by the dean of her college for her writing skills. My sons are working on novels. They’ve traveled all around the US and we’ve explored Europe as a family. God has multiplied my strengths within them, and He’s using that for His glory. Yes, we might need to pull out a calculator in the grocery store, but we’ll weave a great story telling about it! 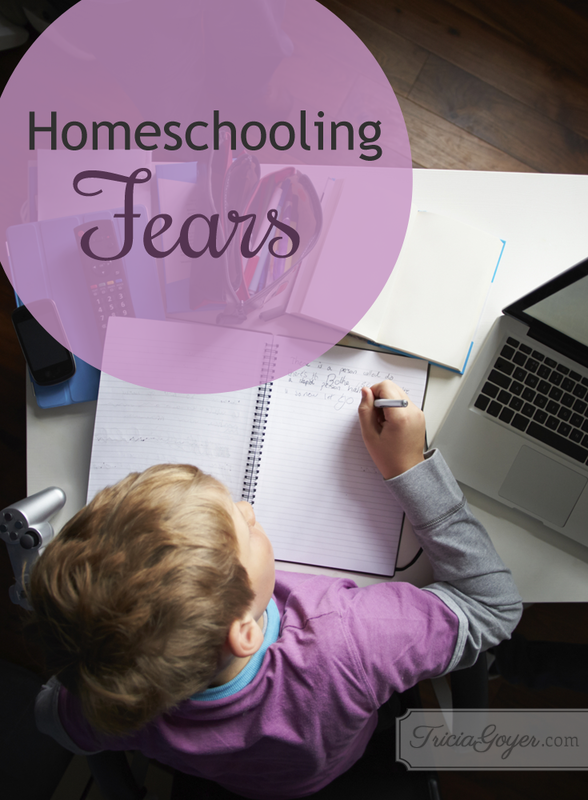 Maybe you have fears as a homeschooling mom, all of us do. The great news is that you can turn to God to ease your worries. You can also turn to Him to turn your weaknesses into strengths. It’s helped me to realize that no child’s education will be perfect. The best part of homeschooling is that we did it together and we’ve had a tailor-made experience that we’ll always look back on with joy. For more homeschooling help, stop by my How to… Homeschooling page! Yes, yes, yes. So very, very true. …however, one thing that was slightly different in my experience is that I’ve become a bit of a techie — who really likes computers and video cameras and software — even though my mom does not. My siblings are all very different, with distinct interests and skills, but we do all still love great stories and spending time together (mostly [grin]). That’s awesome! I’m glad you were able to pursue your dreams!